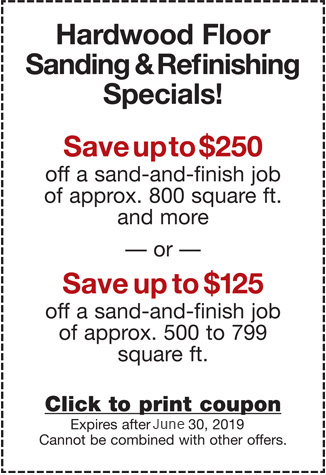 Maybe you’re researching unfinished hardwood floors installation to renovate a South Bay studio you just purchased. Or perhaps you’re exploring hardwood floors installation to repair a damaged property. In either case, you’re intrigued by dark hardwood floors. 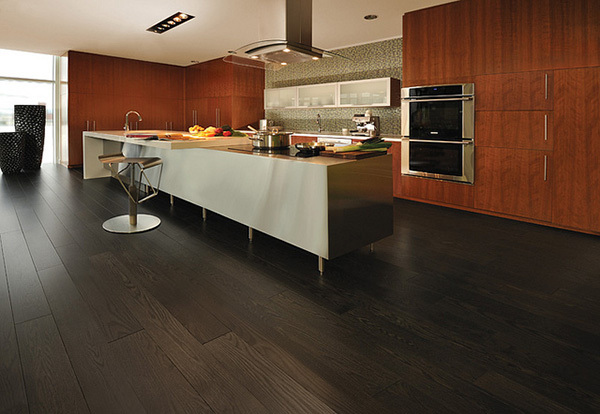 Darker floors offer a contemporary, sumptuous and rich aesthetic. You can choose from a variety of different types of dark hardwoods. Jacobean has a browner, lighter look; ebony is considered more modern and upscale. Installing and maintaining darker floors is not without challenges. For instance, scratches and dirt tend to show far more on darker floors for obvious reasons. If you walk barefoot, oils from the feet can compromise the aesthetics, as can dander and general debris from kids and pets. The ironically named “white oak” is one of the darkest types of hardwoods available for construction purposes. Other types of oak, including red oak, look slightly lighter. A technique known as a “water pop” can make certain floors look especially dark. Traditionally, the dark floor aesthetic doesn’t come cheap. One site, for instance, retails macassar ebony for about $150 per square foot. This is an exotic type of hardwood, but the price for even common dark woods can be prohibitive. Are Prefinished or Unfinished Hardwood Floors the Right Choice? The team at Elegant Floors can help you get this dark ebony look for less to achieve your dream floors, no matter what the scope and size of your project is. Give us a call today at 650-961-1339 or 408-773-8624 for a free hardwood floors installation estimate. We can also help you determine if a refinishing project will be all you need, or if budget-friendly engineered floors may be an option.